We love games and puzzles, too! I've played Mexican Train on line, and we love Rummikub and Apples & Oranges! So fun when there's a good group to play with! When we lived near family we always played boardgames on the holidays. I do miss that. 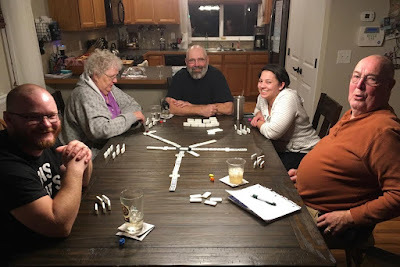 Our friends Neal and Jenny come over once a month and we play Mexican train dominoes. I’m so grateful for good friends. Enjoy your family celebrations! WE love Mexican Train. I suspect we'll be playing that soon . I love a Saturday NANCY post! Thanks for being part of Advent Virtual Tour! 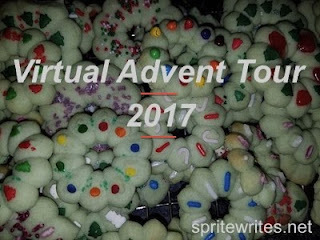 I have a post coming Tuesday ! 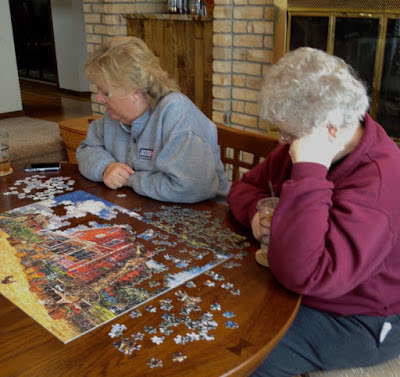 My husband, daughter and I have developed a tradition of doing jigsaw puzzles of winter break,and it is really fun. My family enjoys games of any kind too. I've never played Mexican Train, but it sure seems popular! My husband's family loves to play cards when we get together, which I really enjoy. Ironically my oldest daughter hates playing cards but her husband loves it. My other daughter loves to play and her husband hates it. So the non-card players always find something else to do. My girlfriends love to play Mexican Train too. I might have to teach the grandkids that one as they get old enough. You would fit right in our family gatherings! I love to play Thirty One!